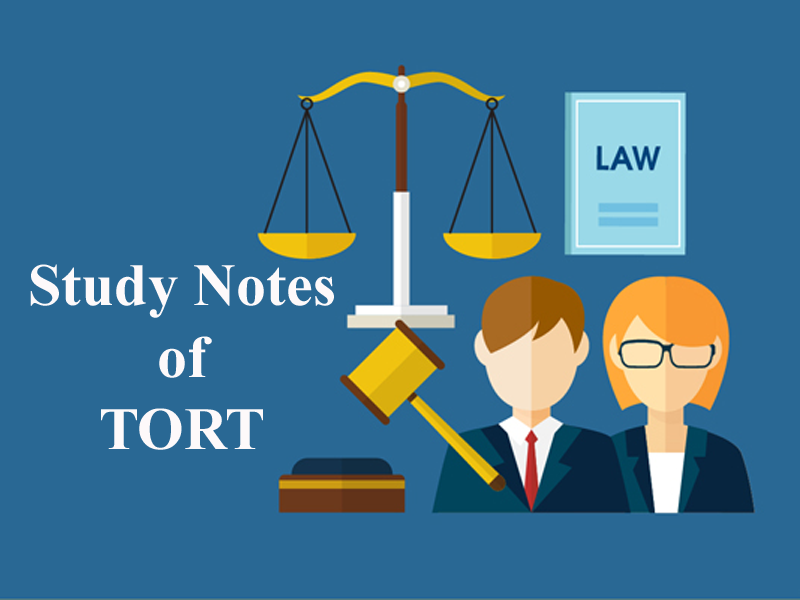 Here we are providing you updated and most relevant Study notes on Tort of Nuisance for Law Entrance Exam. These study notes are highly recommendable for all those who aspire to crack CLAT, DULLB, AILET and other Law Entrance Exam. “Nocere” in legal sense it means “annoyance” or “harm” or “disturbance”. Peaceful enjoyment of one’s own property is a legal right of individual. Everyone must endure limited degree of noise, dust, smell, smoke, vibration, the effluents etc. from his neighbour. Slight annoyance to a neighbor due to an activity of an individual on his land cannot be actionable nuisance, but if an activity of an individual is of continuous or recurrent nature and unduly interferes with the use or enjoyment of land of his neighbor can be actionable. Private Nuisance is an act which causes annoyance to a person, Public Nuisance is an act which causes annoyance to a large number of persons. Note: Public nuisance may become private nuisance when there is some special damage or injury to a person. Example: A was the priest of temple. The bells of temple was rung at all hours day and night. The plaintiff B, resided next door to the temple. All the people in vicinity enjoyed the bell sound but plaintiff was disturbed he brought an action for injunction and it was allowed by the court. The unlawful interference with a person’s use or enjoyment of land, or some right over or in connection with it is known as private nuisance. 1) There must be interference with the use or enjoyment of land or some right over it. 2) The plaintiff must show title to the thing to which the nuisance is alleged to be caused. 3) The act complained of must result in damage to the plaintiff. Nuisance is not actionable per se; some damage must have been caused to the plaintiff to enable him to sue. The plaintiff filed a suit for permanent injunction to restrain the defendant from installing and running a flour mill in his premises. Plaintiff was occupier of a floor of the same building and it was held that installation of such flour mill will cause nuisance and hence injunction was granted. An act, which is reasonable, does not become unreasonable because of the fact that the plaintiff is a sensitive plaintiff or occupies a sensitive property. If an ordinary person is not disturbed, then plaintiff cannot get the relief under nuisance. What are the kinds of nuisance? A.There must be interference with the use or enjoyment of land or some right over it. B.The plaintiff must show title to the thing to which the nuisance is alleged to be caused. C.The act complained of must result in damage to the plaintiff. The plaintiff filed a suit for permanent injunction to restrain the defendant from installing and running a flour mill in his premises. Will the setting up of a flour mill amount to nuisance? If an ordinary person is not disturbed, then plaintiff cannot get the relief under nuisance. Get the updated and most relevant study notes on Torts in Nuisance for upcoming CLAT and other Law Entrance Examination.